A customer may withdraw his or her consent for collection, use and disclosure at any time by sending an email to info@piggybanktechnology.com. Please make sure you tell us what Email address to unsubscribe and put the word "unsubscribe" in the subject line. Note that, if you do, CNHR Magazine Inc. may suspend its provision of products and services to you. CNHR Magazine Inc. collects, at the time of your registration and your sign-on to its web site, certain “personal information” (information that personally identifies you) including but not limited to your name, email address, home or work address, telephone number, and information about your computer hardware and software (e.g., IP address, operating system, browser type, domain name, URL, access times, and referring web site addresses). to identify and resolve technical problems concerning CNHR Magazine Inc. site, products and services. CNHR Magazine Inc. also uses personal information in an aggregate form (i.e., not individually attributable to you) for its business analysis, operational, marketing and other promotional purposes. CNHR Magazine Inc. limits its collection of personal information to only that information which is necessary for the Identified Purposes. CNHR Magazine does not direct its site to, nor does it knowingly collect any personal information from children under the age of thirteen. When you visit the CNHR Magazine Inc. web site, a cookie may be placed on your computer or the cookie may be read if you have visited the CNHR Magazine Inc. site previously. If you choose to not have your browser accept cookies from the PABC web site, you may not be able to view all the text on the screens, or to experience a personalised visit, or to subscribe to certain service and product offerings on the CNHR Magazine Inc. site. In addition, as we continue to develop our business, we or our affiliates may sell or buy other businesses or entities, or we may merge with another company. In such transactions, personal information may be one of the transferred business assets. Also, in the event that CNHR Magazine Inc. or substantially all of its assets are acquired, your personal information may be one of the transferred assets. Your information may be stored and processed in the Canada or the United States, or in any other country in which CNHR Magazine Inc. or its affiliates, subsidiaries or agents maintain facilities. By using this web site, you consent to any such transfer of information outside of your country. After your account becomes inactive (that is, if you request to be removed from our database), CNHR Magazine Inc. will keep your personal information in its archives. Your information will then be used only as necessary for tax reasons or to prove CNHR Magazine Inc. compliance with any applicable law. CNHR Magazine Inc. will use reasonable efforts to keep customer personal information accurate for the Identified Purposes, and for minimizing the possibility of making inappropriate customer decisions based on such information. Customers are responsible for informing CNHR Magazine Inc. about changes to their personal information. 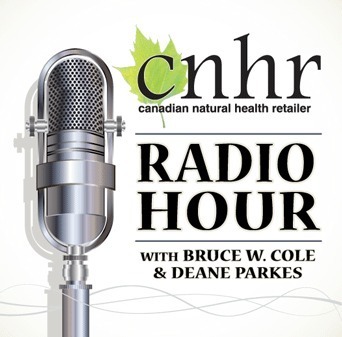 You can do this by calling [705-527-1118] or sending an email to donna@cnhr.ca. CNHR Magazine Inc. will use new or updated personal information it receives from customers to update its own records. If CNHR Magazine Inc. is not able to provide access to some aspect of a customer’s personal information, it will provide reasons for denying access such as; that by doing so would likely reveal personal information about a third party, or that it is confidential commercial information or attorney–client privileged communications, or that the information relates to a breach of an agreement or a contravention of law, or that its disclosure could reasonably be expected to threaten the life or security of another individual. Customers have the right to request that inaccurate or incomplete information be amended as appropriate, by contacting CNHR Magazine Inc. or the Privacy Officer as described above. CNHR Magazine Inc. will promptly correct such personal information.